An organisation opposed to the development of another salmon farm in Bantry Bay says the area is “already overburdened” with them and believes there’s a direct link between such farms and sea lice infestation which can kill wild fish. 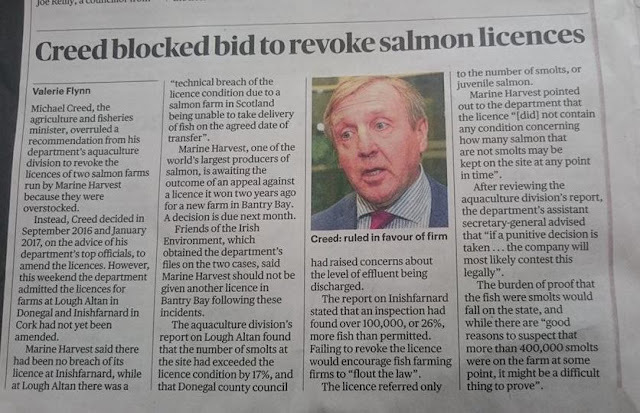 Save Bantry Bay secretary, Alec O’Donovan, made his organisation’s concerns known on day two of a reconvened oral hearing into a decision by the Department of Agriculture, Food and Marine to grant a licence for Marine Harvest for a salmon farm at Shot Head. “Sea lice was recognised in the 1980s as being a problem for sea trout and salmon smolts on the rivers of the west of Ireland. Strangely enough this decline of sea trout occurred shortly after the commencing of salmon farming on the west coast in 1984,” Mr O’Donovan said. 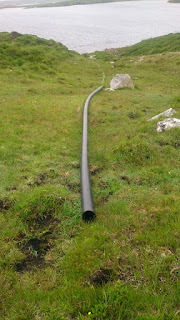 Average sea trout rod catches in five Connemara rivers were 9,000 per year prior to the commencement of salmon farming. Within two years a sharp decline was noticed and by 1991 the catch had dropped to just 800. “Various groups tried to bring to the attention of the government that when there were no salmon farms there was no major sea lice problem,” Mr O’Donovan said. 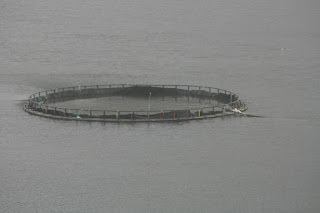 He challenged claims made by Marine Harvest’s consultant hydrologist that tides and the 27bn tonnes of water flushed in and out of the bay every month would keep salmon faeces deposited under the cages at a very low level. Mr O’Donovan said he understood the Government has a responsibility to create employment. “However, a big danger is jobs at any price.” He said he’s concerned the fish farm industry is being favoured to the detriment of wild fish, adding that Inland Fisheries Ireland says recreational angling contributes €836m to the economy every year and supports 11,000 jobs. Noel Carr, national secretary of the Federation of Irish Salmon & Sea Trout Anglers, said his organisation has objected to every salmon farming licence in Ireland, both north and south, since the wild sea trout collapse in the mid 1990s, which he also maintained was caused by sea lice infestation. In his submission to the Aquaculture Licences Appeal Board (ALAB) hearing, Kieran O’Shea, a third generation fisherman, said three boats operate in the Shot Head area catching prawns, shrimp, crab and lobster. He said it makes up approximately 15% of their fishing grounds and if they aren’t able to access it because of the development of the salmon farm they could be forced out of business. Solicitor Alan Doyle made an objection on behalf of An Taisce, saying there had been no environmental assessment on the impacts the salmon farm might have on otters, dolphins and seals present in the area. John Quinlan, principal officer with the department said in September 2015 the then minister with responsibility, Simon Coveney, granted the licence to Marine Harvest on evidence-based information and it was his view that was “a correct and sound” decision. Dr David Jackson of the Marine Institute said sea lice control in existing salmon farms in the South-West is currently excellent. The oral hearing has concluded. It’s not known when a decision will be reached. A consultant representing a company planning to develop a €3.5m salmon farm in Bantry Bay has told a reconvened oral hearing it will not have a detrimental impact on the general environment or wild fish stocks. Marine Harvest has been granted a licence for the 16-cage salmon farm off Shot Head and proposes to produce 3,500 tonnes of fish from it every two years. 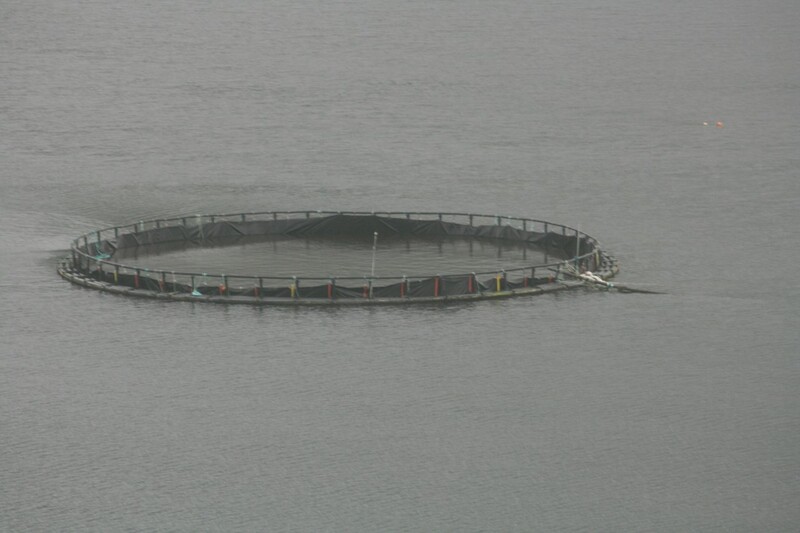 The company already runs a 12-cage salmon farm 8km west of the site at Roancarrig. Up to 50 people attended the Acquaculture Licenses Appeal Board oral hearing yesterday. The hearing will continue today and is expected to concentrate on submissions from 14 objecting groups and organisations. The hearing had been adjourned last February due to an oversight that led to a technical report not being released to all parties. This hydrolic flow report was eventually delivered yesterday on behalf of Marine Harvest by Neil Bass, from consultants RPS. He said waste from the salmon farm was modelled on “worst case” discharge scenarios. Dr Bass said that even with a worst case situation over a year there would only be 13mm of solids (faeces and uneaten food) deposited under the salmon pens and this would not result in any degradation of the site as the deposits would be grazed on by small seabed-dwelling creatures and gently dispersed by currents. “On sites which are properly managed you’ll see virtually nothing,” he said. Dr Bass said the maximum stocking density would be 10 kilos of salmon per cubic metre of water. He said that this low stocking rate would reduce stress and disease in the fish and residue from medication required to combat sea lice infestation in the salmon would not cause any problems as Bantry Bay is flushed by 27bn tonnes of water every month — equivalant to the weight of the world’s human population. Chairman of the oral hearing, Owen McIntyre, heard one local objector claim that 13mm of solids deposited under the pens would kill off shrimp and prawns. Angling guide and fisheries manager Brian Curran, who is based in Galway, claimed that Chilean scientists had recently published a paper which stated that some medications used on farmed salmon were toxic to lobster, crab and shrimps. Dr Bass said there was an entirely different situation in Chile as its farmed salmon industry had gone through two disasters due to “greed”. Concerns have been expressed that an outbreak of sea lice in the pens could kill not only the farmed salmon but wild salmon and sea trout. Dr Bass said statutory monitoring of sea lice levels in all Irish salmon farms took place 14 times each year. If infestation is over a certain level the fish must be treated to kill the parasite. He said just six treatments were needed in the past eight years in all salmon farms in Bantry Bay, which was well below the national average. Dr Bass admitted that the sea lice could get into local rivers from salmon farms, but maintained they could not get there in sufficient numbers to cause any serious infestation. However, he said where a salmon farm is close to a river the river “could be in trouble” from sea lice. 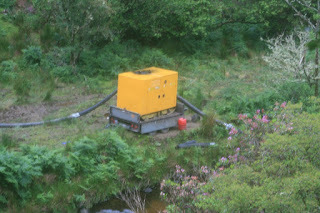 This, he added, was not the case in Bantry where the salmon farms were not near rivers. A number of placards were placed by objectors at the entrance to the hotel’s conference centre at the Westlodge Hotel where the oral hearing is taking place. It may sound like a tall order, but the solution to rows about ocean-based fish farms could well be up in the sky. Fish are being reared successfully in plastic fish tanks containing 80,000 litres of salt water, 15 floors up on a high-rise building in Hong Kong, where people have voracious appetites for fish. The idea is also catching on in other parts of Asia. Earlier this year, vehement opposition was voiced at an oral planning hearing into plans by a Norwegian company, Marine Harvest, for a salmon farm off Shot Head, in Bantry Bay, Co Cork. Twelve appeals were lodged against a decision by the Department of Agriculture to licence the project in an area of just over 100 acres. 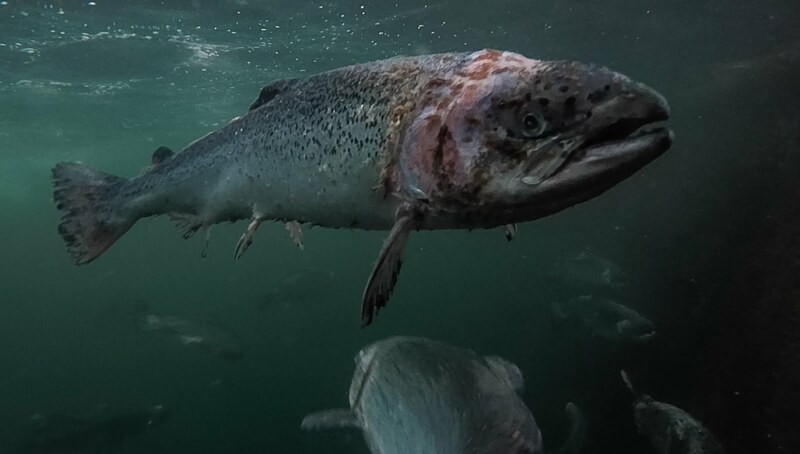 Due to ongoing concerns about pollution from fish farms, sea lice and threats to wild fish, there’s been a movement, internationally, towards on-land fish farms in recent years. More than 10,000 such farms are now in operation, Fish Farm News reports. Louis Luyken, of the Save Bantry Bay group, says nobody in the area wants salmon farms which have “the wrong fish in the wrong places”. He says the only way of bringing jobs and wealth is through a big number of fish farms on land over the whole country. These would include special, closed containment systems and closed buildings in which the water would be biologically cleaned and waste used as fertiliser on the land for other production by the same farmers, he adds. On-land fish farms use a recirculating aquaculture system described by the industry as an eco-friendly, land-based fish tank. Denmark, for instance, has half its farms on this system, while Finland has never allowed fish farms on its seas. Two years ago, a report for the Irish fish- farming industry shot down on-land farms, claiming capital costs would be too high and would make it difficult to be competitive. Environmentalists and others, however, remain unconvinced and will continue with campaigns similar to Save Bantry Bay. The vertical fish farms in Hong Kong are being put on rooftops because land there is really scarce. White-fleshed grouper fish are being produced to supply a huge local market. Oceanethix, one of the companies involved, produces about two tonnes of grouper per week and is also selling its water-recycling systems to other companies across Asia setting up so-called fish farms in the sky. Also, a growing number of organic fruit and vegetable plots are being created on top of skyscrapers and other spare rooftop spaces in bustling Hong Kong. Nevertheless it’s safe to say it will be a long time before we see such activity on the roof of Cork County Hall, or the Guinness Storehouse in Dublin. The campaign to have salmon farms taken out of Ireland’s beautiful bays and coastal areas has been ongoing for years yet our elected politicians hold quiet on the matter. Lets get them to discuss the future of salmon farming in Ireland at national and EU level. Scientific evidence proves that salmon farms harm the environment yet for some reason these foreign owned corporate companies are allowed to come in and produce farmed salmon along the Irish Coast. We want salmon farms taken off the Irish coast and moved into land based closed containment systems for safer food production and cleaner environmental protection. 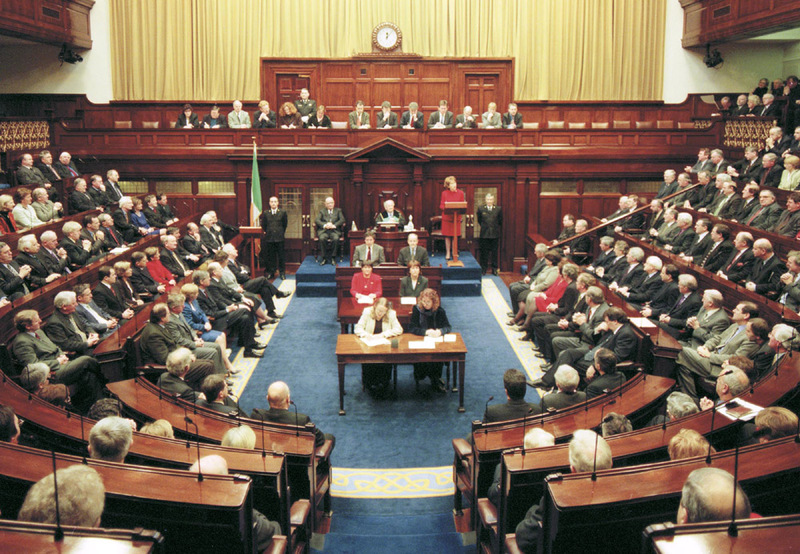 A list of all TD’s and Local Councillors can be found on Contact.ie. The message is clear - No to Salmon Farms on the Irish Coast. 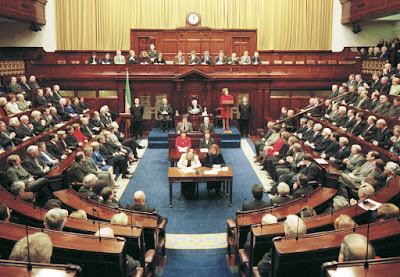 Send one message to all of Ireland’s politicians today on Contact.ie and make sure you get answers. 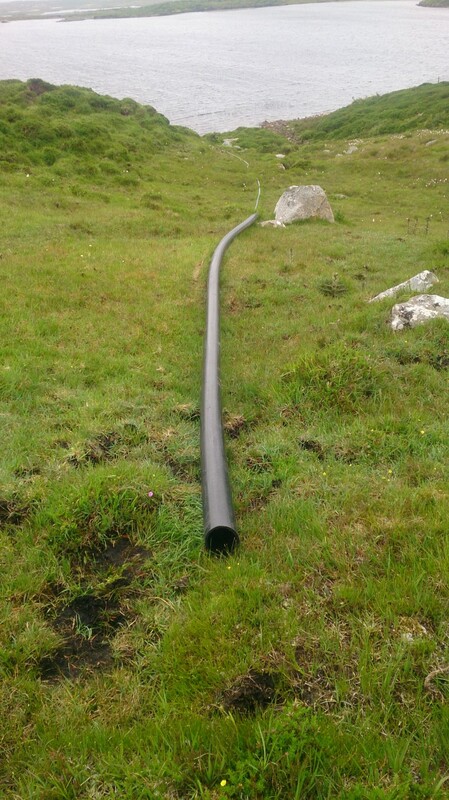 Galway Bay Against Salmon Cages (GBASC) welcomes the decision made on the 19 June by Galway County Council to again refuse planning permission to Bradán Beo Teo (BBT) for their illegal pump and piping system at Loch an Mhuillinn, Connemara. this unsustainable and environmentally damaging illegal development. We commend the courageous decision of the Co.Council planners not to reward BBT with planning permission in light of the fact that Bradán Beo Teo, in which Udaras has a major shareholding, had ignored numerous warning letters over 3 years that their development was illegal. A number of illegal fresh water abstractions are taking place from rivers and lakes in salmon farming areas along the Connemara coast as we go to press. We ask the public to be on the look out for such unauthorized developments and bring them to the attention of the relevant planning authority in their area. Please see pictures attached below. Murphy’s Irish Seafood, a company operating fish farms and hatcheries in Bantry Bay, Ireland, has successfully brought an application for judicial review -- quashing the decision of the minister for agriculture, food and the marine to revoke their licence, Irish Legal News reported. Justice Marie Baker found that the impugned decision had not been made within the statutory time limit, and that the notice of this revocation did not contain a sufficient statement of the grounds on which the minister was considering to enable representations. The application for judicial review related to the purported termination of the aquaculture licence held by Murphy’s for an adult salmon site and a smolt site. Following a catastrophic storm of hurricane force in February 2014, most of the fish stock -- amounting in total to 235,000 fish -- and almost all of the aquaculture equipment on the site was destroyed. Since that time, the damaged cages and equipment had been removed, and one cage remaining has been upgraded; the court heard that there were no fish on site at the time of the hearing. The damage caused by the storm was such that Murphy’s became technically in breach of the conditions of its licence. In July 2014 Murphy’s reached an agreement to facilitate the ongoing operation of the aquaculture process. The agreement provided for submission, on or before July 31 2014, of a maintenance and recording program in accordance with a Norwegian standard.